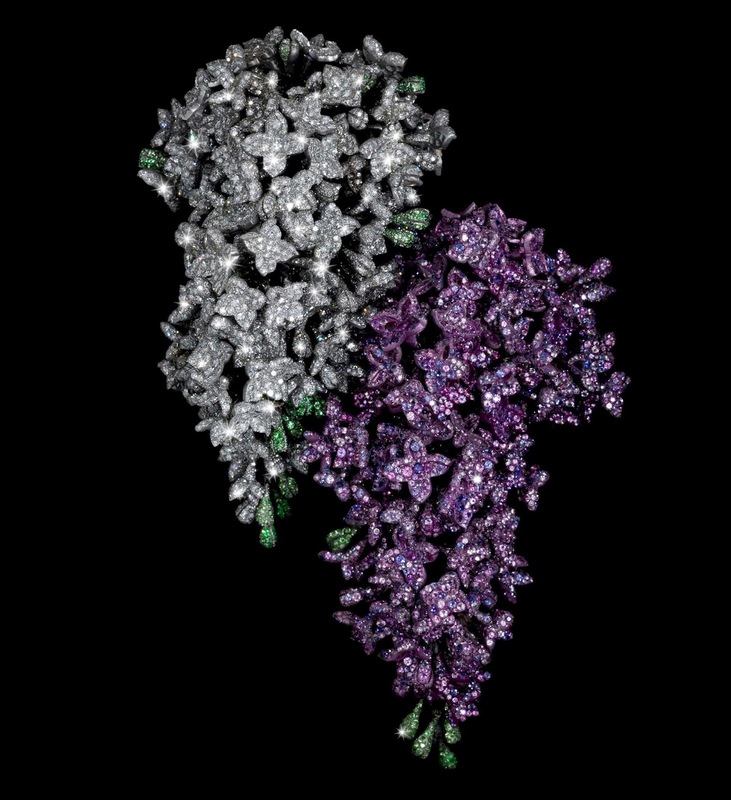 JAR Lilac Brooches, 2001. Photo by Jozsef Tari. 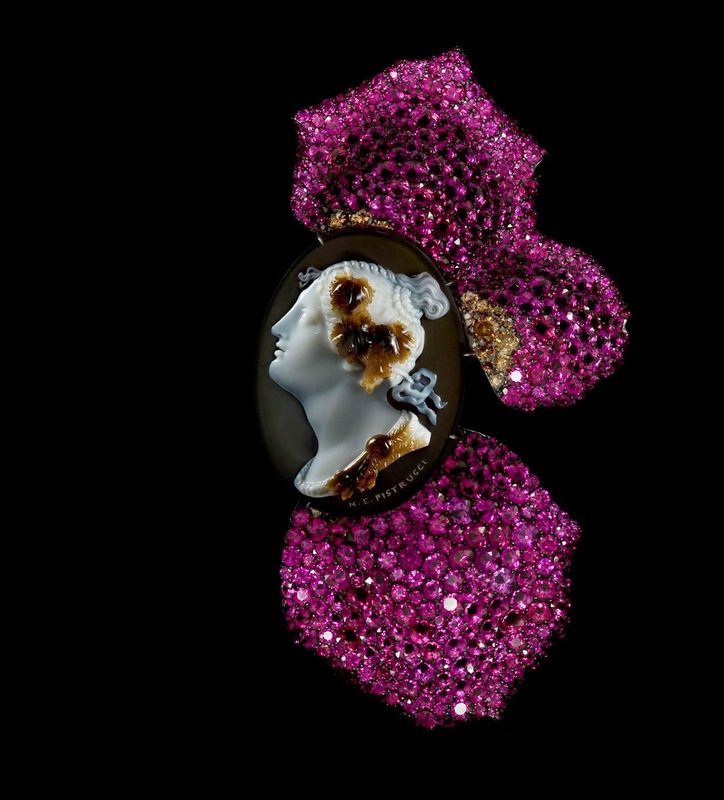 I know for certain that my relatively newfound love of pavé diamonds and gemstones was all because of the exhibit Jewels by JAR at the Met in 2013. That show was really right up there with the best shows I’ve ever seen on any subject and of course for jewelry I feel it was a once-in-a-lifetime experience since it was the first retrospective of JAR’s work in the United States and there were over 400 pieces on display. 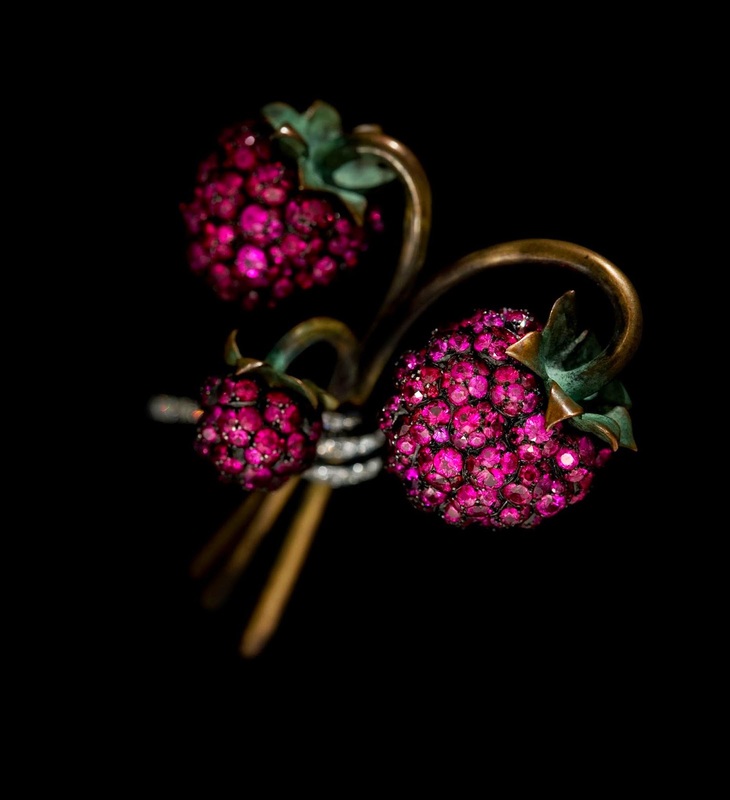 JAR Raspberry Brooch, 2011. Photo by Jozsef Tari. 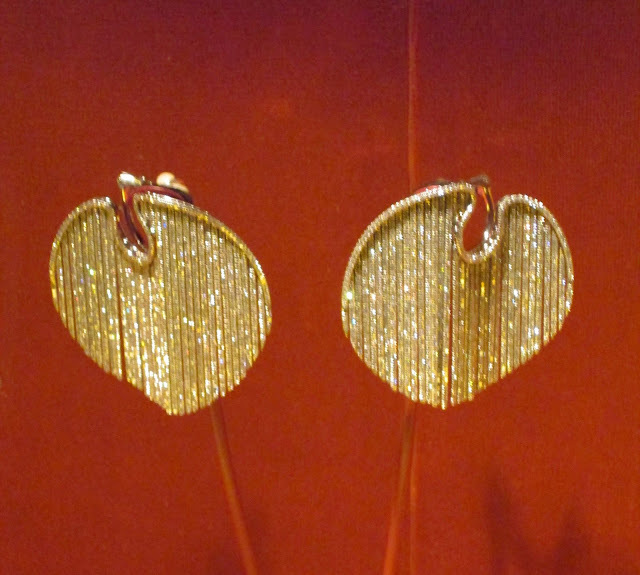 JAR, the initials of Joel Arthur Rosenthal, is the legendarily elusive and somewhat temperamental Bronx-born, Parisian-based jeweler, and these were some of the pavé pieces I loved best from his show at the Met. 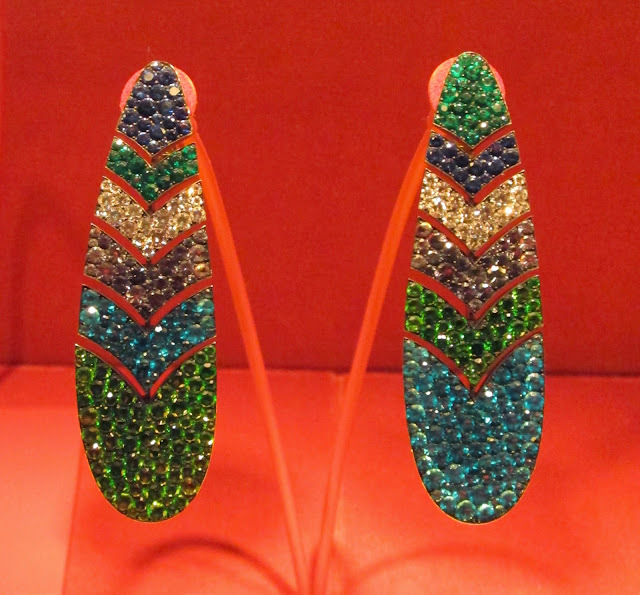 The effects he achieves with pavé-set stones—the colors, the shapes, the brilliance—are stunning. 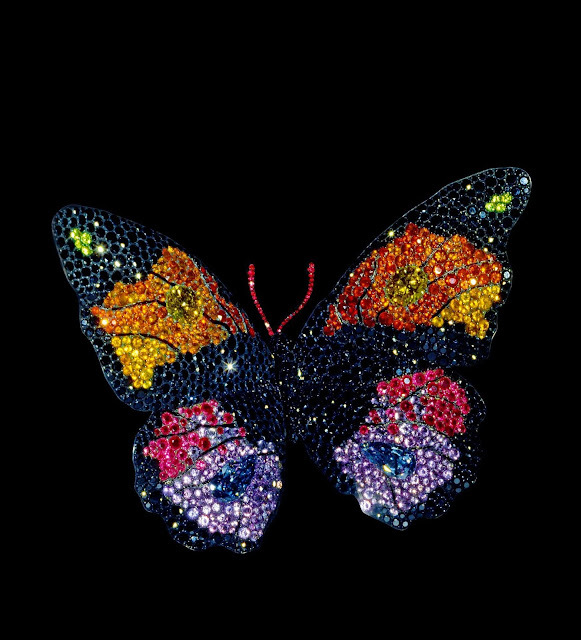 JAR Butterfly Brooch, 1994. Photo by Katharina Faerber. JAR Cameo and Rose Petal Brooch, 2011. Photo by Jozsef Tari. At the time of the exhibit preview I was really taken with JAR’s animal brooches, they are some of the most gorgeous things I have ever laid eyes on, but on revisiting the digital press kit, as well as the pictures I took, I realize that JAR’s pavé work has really stuck with me and been on my mind for a year and a half! Here are three sets of earrings that I think are beyond amazing and I do not wear big earrings at all! I am totally in love with these pavé chevron pendant stunners from 2007. 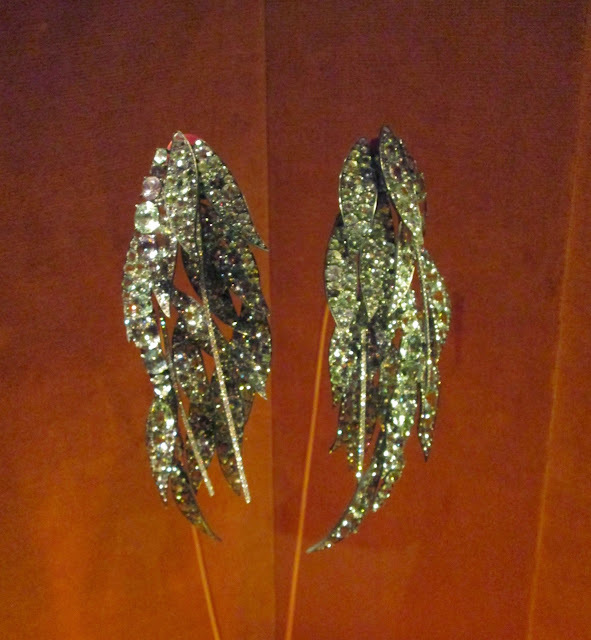 I love the shimmer of these incredible Fringe Earrings from 2013. Weeping Willow Pendant Earrings, 2011. Notice the diamond threads. I am weeping, indeed! I found three fun articles about JAR you might like to read. One was on Forbes.com called “The Cult of JAR” by Susan Adams and was written back in 2006, years before the Met exhibit. The two others, my favorites, are by Cathleen McCarthy of The Jewelry Loupe, who has been so lucky as to try on some JAR jewelry! When Ellen Barkin was selling her jewelry in 2006 after her divorce from Ron Perelman, Ms. McCarthy attended the auction preview and got to put on some of the JAR rings before they went on the block at Christie’s New York. You have to see Ms. McCarthy’s pictures, the rings are as big as her hand! How fun that she got so up close and personal with these stunning works of art! You can read her posts and see her pictures here and here. I don’t own any pavé—yet—but it would be nice to add a pavé piece to my small fine jewelry collection one day. Of course, it won’t be by JAR unless I hit the lottery, so I will just have to admire photos of his work! Let me know if you own any pavé jewelry or if you saw Jewels by JAR at the Met. OOlala...these are gorgeous! Thanks for telling me, Jill! These pieces are gorgeous! I would love to add one to my closet too. Thank you for joining TBT Fashion link up and hope to see you Thursday.